Now here we are walking in BuyBuyBaby yesterday and I spot the seats :) I challenged the store manager to make us a deal and 20% later they were in the car heading home. 20% on two $239 chars comes out to about $100 off so we had to do it. From a more practical note, I can't stand baby swings just because they use up so much space and don't look "cool". 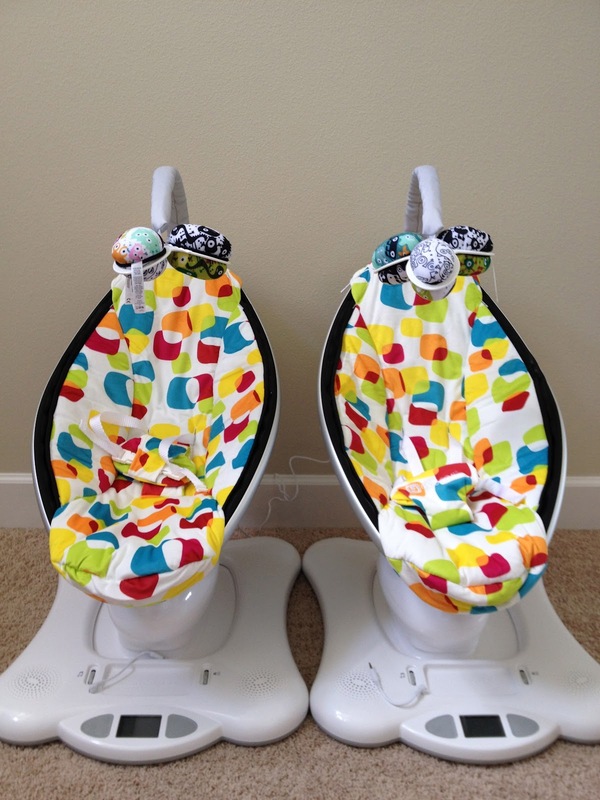 I've been researching, checking posts and listening to what Moms have said about the mamaRoo and it is [on paper] the quintessential combination of bouncy seat, swing and vibrating thing all in one hi-tech package. We'll see how that works out won't we :) No the cool thing about 4Moms is that they are users, designers and don't rest on their laurels. In this case, we bought the second generation seats that have a lot of items addressed that moms complained about. Very cool, right? In case you're wondering, we bought these at BuyBuyBaby. You can text the word "offer" to 42229 and they instantly send you a 20% coupon to your phone. Julija and I both did it -- $100 off.. Yay.